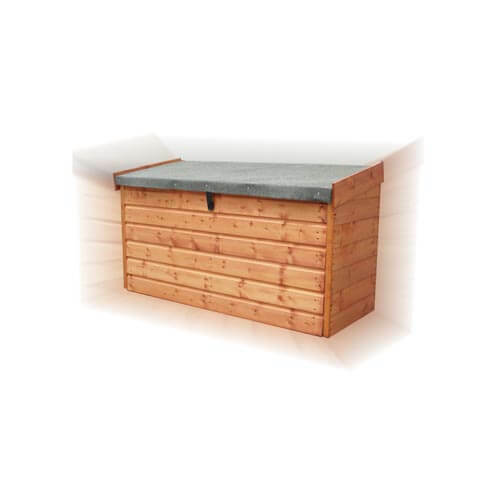 This garden chest features an internal storage shelf and is ideal for toys, tools and gardening products. An option is construction in tanalised wood, pressure treated to withstand fungal decay and insect attack and so ensuring a longer lasting product. Perfect for storing items which need to resist the damp.